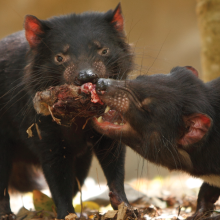 “We initially observed that tumors don’t regress as well in immune-compromised mice, even when we turn MYC off,” Felsher told The Scientist. 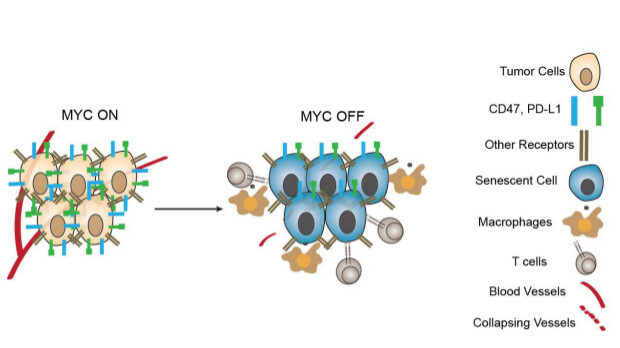 For the present study, Felsher’s team sought to identify how Myc inactivation is related to an antitumor immune response. 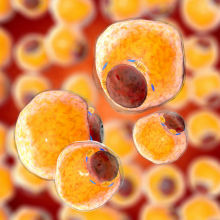 In transgenic mouse models of T cell acute lymphoblastic leukemia (T-ALL) and liver cancer (both inducible by overexpression of MYC), the researchers found that levels of PD-L1 and CD47 correlated with MYC activation. 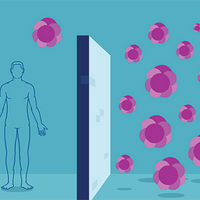 PD-L1 is part of a signaling pathway that normally helps cease T cell activation following an immune response. CD47 is also a cell surface protein; it functions to inhibit macrophages and other immune cells from engulfing cells on which it resides. The researchers then demonstrated that decreasing the expression of CD47 and PD-L1 is likely to be necessary for tumor regression. They found that if Myc is inhibited but CD47 and PD-L1 are continually overexpressed, tumors in mice with MYC-driven T-ALL cells persisted. This confirmed the role of these Myc targets in regulating immune system evasion, said Gajewski. While inhibiting Myc overexpression normally prevents angiogenesis, continued expression of the two immune proteins despite Myc inhibition allowed angiogenesis to continue. 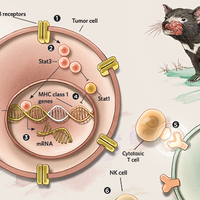 MYC directly bound to the promoters of these two immune genes in both mouse and human transformed cells, the researchers showed. Using a human bone cancer cell line, the team found that MYC bound the promoters of the two genes only when present at the high levels found in cancer cells. To Felsher’s mind, the findings validate Myc as a promising anticancer target. “What happens in cancer is not invented de novo by oncogenes, but rather represents hijacked versions of normal processes,” said Evan. S.C. Casey et al., “MYC regulates the antitumor immune response through CD47 and PD-L1,” Science, doi:10.1126/science.aac9935, 2016.